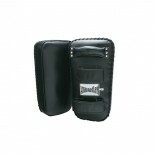 We are proud to present our outstanding selection of MMA equipment. Masterline carries a quality inventory compared to its competitors, which is why we have a great number of faithful customers all over the country. Furthermore, the premium quality and fair price we offer encapsulates our core business values: providing customers with some of the best products at the lowest prices. There is no doubt that our inventory represents the best variety, quality, and value available on the market; our client's testimonials over the past 25 years can prove that. The merchandise in Masterline's catalogue are quality products, with desired style and functionality. Our products are the combination of contemporary design and superior durability. 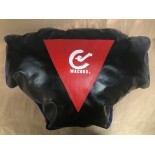 Wacoku Punching Pad Dimensions: 14.5" x 25.5" x 12" (Height x Length x Width) ..
High quality gloves made of durable genuine leather. Features open fingers and thick padding around fingers, knuckles and forehand. Adjustable velcro wrist wrap for maximum wrist support. 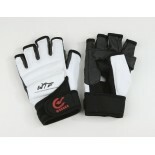 ..
High quality gloves made of durable genuine leather. Features open fingers and thick padding around fingers, knuckles, and forehand. Adjustable velcro wrist wrap for maximum wrist support. 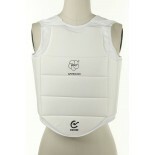 ..
World Taekwondo Federation approved protective gear by Wacoku. Vinyl exterior with shock absorbing EVA foam padding inside. Ventilated palms with grip bar. Elastic strap with adjustable velcro wrist wrap. Open finger design. Color: White Size: XXS, XS, S, M, L .. Durable EVA material provides extra protection, and internal grip promotes a secure fit while in use. Also features velcro system allowing easy wear/removal, spandex fabric for ventilation/comfort, and special sponge padding absorbs moisture. ..
Sold in pairs. 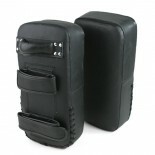 Constructed with genuine leather and heavy duty foam padding. 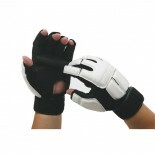 Pad features a reinforced handle with wrist and arm velcro fasteners for a firm and comfortable fit. Sold individually (676A) or in pairs (676). Size: 15” X 8” X 4.5” .. Single pad. Constructed with genuine leather and heavy duty foam padding. Pad features a reinforced handle with wrist and arm velcro fasteners for a firm and comfortable fit. Sold individually (676A) or in pairs (676). 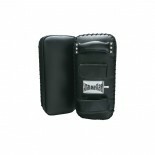 Size: 15” X 8” X 4.5” ..
Full grain leather shell with multi-ply layered foam padding for unparalleled comfort and protection. Substantial padding all around, excluding essential areas such as the eyes, nose, and mouth. Comes with a soft, smooth, yet durable inside liner that is easy to wipe clean between uses. Size: S, M, L, XL ..
MMA Head Gear, Vinyl Composed of a vinyl exterior, and a layered foam padding interior for optimal comfort and protection. Ample padding around forehead, cheeks, chin, ears, and the back of the head. 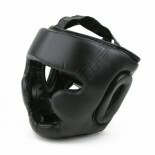 Color: Black SIZE: XS, S, M, L, XL ..
A must have item for kickboxing practice. Genuine black or red leather filled with extreme high-density foam. Two 2.25 inch wide forearm straps with velcro closure and padded grip bar. The grip bar is riveted for maximum durability. Standard size (7”x15”x4”) Sold in pairs. 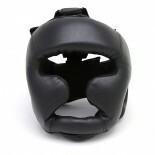 Available individually (601A) ..
A must have item for kickboxing practice. Genuine black or red leather filled with extreme high-density foam. Two 2.25” wide forearm straps with velcro closure and padded grip bar. The grip bar is riveted for maximum durability. Standard size (7”x15”x4”) Sold individually. 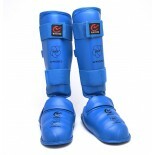 Available in pairs (601) ..
A must have item for kickboxing practice. Genuine black or red leather filled with extreme high-density foam. Two 2-1/4” wide forearm straps with velcro closure and padded grip bar. The grip bar is riveted for maximum durability. Oversize (9.5”x17.5”x5.5”) Sold in pairs. ..